Exciting, edgy, and undeniably romantic, weddings at Hard Rock Hotel Vallarta allow couples and their guests to release their inner rock star. 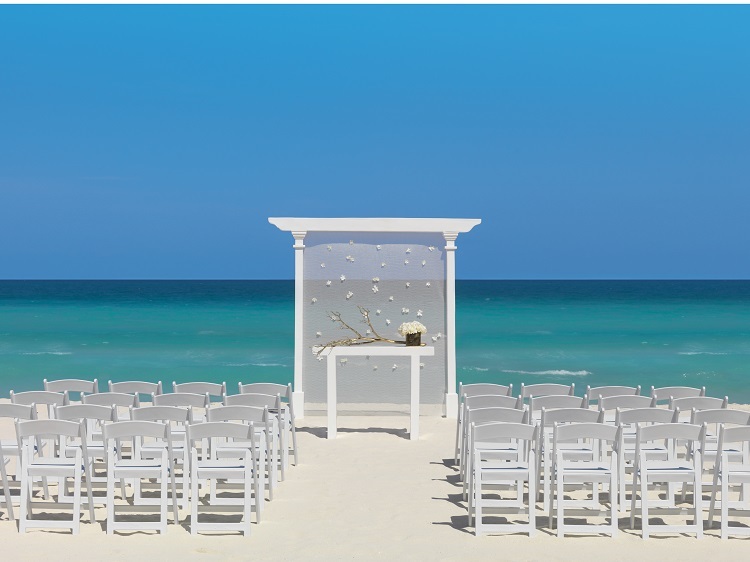 While any Hard Rock Hotel ceremony or reception is guaranteed to put a smile on attendees’ faces, the right Mexico wedding package can take the destination experience to a whole new level. 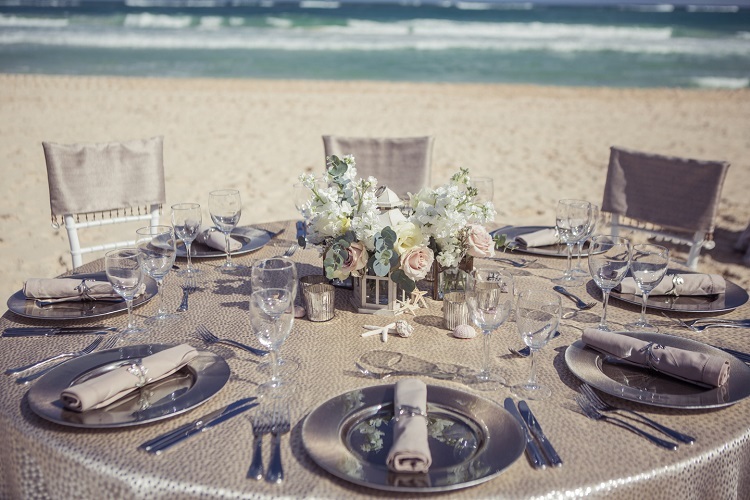 Acclaimed celebrity event designer Colin Cowie has left his mark on Hard Rock Hotel Vallarta; thanks to his ingenuity, you can rest assured knowing that your wedding and honeymoon will be nothing short of glamorous. Offered free of charge to couples who tie the knot at Hard Rock Hotel Vallarta, this popular wedding package allows you to make the most of the destination wedding experience. 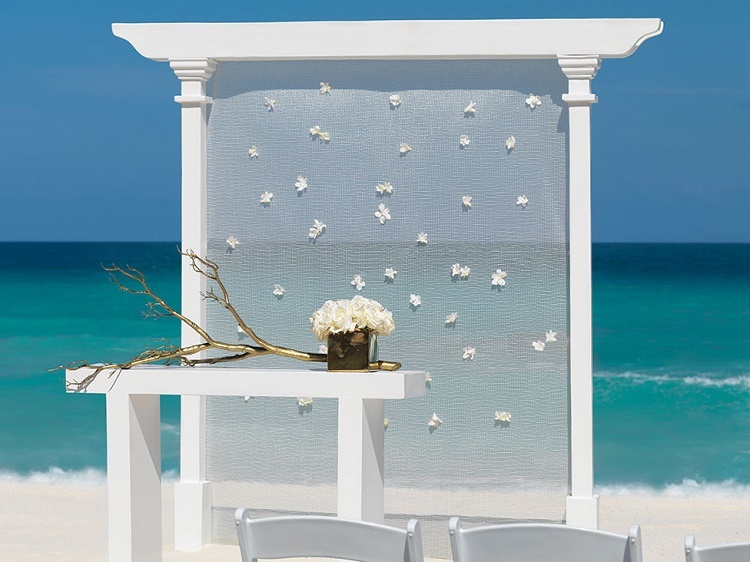 Your ceremony will feature a white structure, a white ceremony podium, and a gold mirrored vase with white roses. You’ll also receive a beautiful bouquet and boutonniere. Up to 32 guests can attend the ceremony and all can participate in a sparkling wine toast. Like all wedding packages at Hard Rock Hotel Vallarta, the complimentary collection comes with a honeymoon package. You and your sweetheart can decompress after your big day with a romantic dinner and a hydro spa tub experience. Inspired by natural beauty, this gorgeous ceremony features a rustic tree altar draped in lovely chiffon. The ceremony isn’t merely a visual delight; it provides a feast for multiple senses. A violinist, saxophonist, or guitarist will provide the soundtrack for the most important day of your life. The ceremony is followed by a romantic dove release. Up to 32 guests can take in the beauty of your wedding before enjoying a themed two-tier cake and sparkling wine. 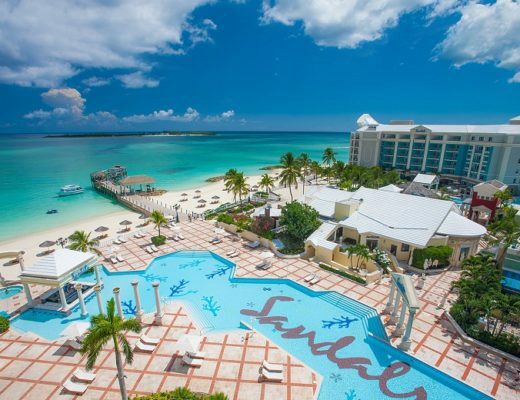 As with the complimentary wedding package, you will also receive a honeymoon package. This grants you plenty of opportunities for relaxation after you’ve tied the knot! 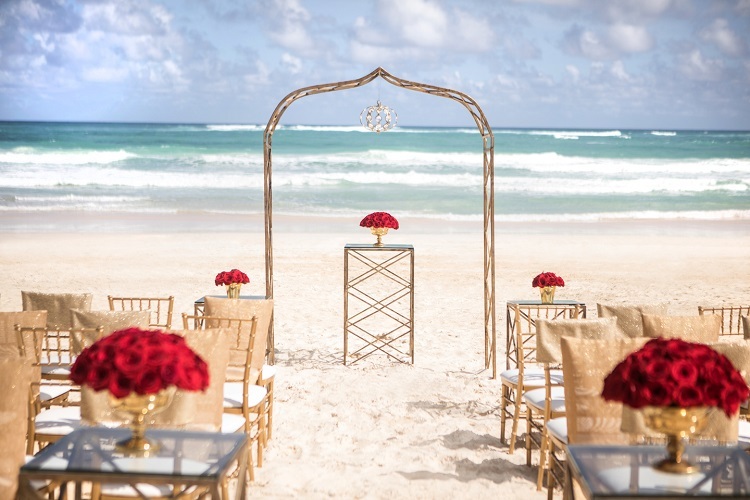 An opulent ceremony awaits, complete with a golden structure and matching centerpieces featuring red or white flowers. A beautiful bridal bouquet could include white or red roses! Choose from a boutonniere featuring white Phalaenopsis orchid with seeded eucalyptus or a red rose — also with seeded eucalyptus. 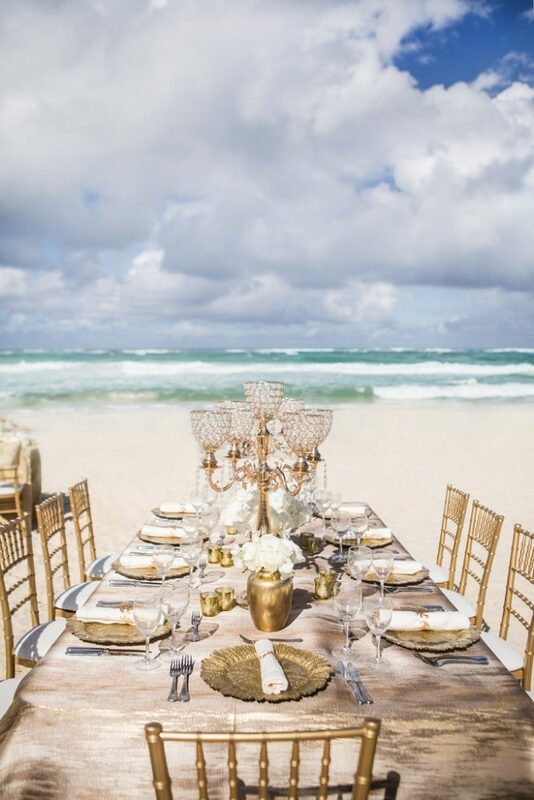 Throughout the ceremony, your guests will sit in glamorous gold Chiavari chairs as they take in the stunning scenery and your heartfelt vows. Like the Driftwood package, this wedding collection includes a dove release after the ceremony and, of course, a complimentary honeymoon package. 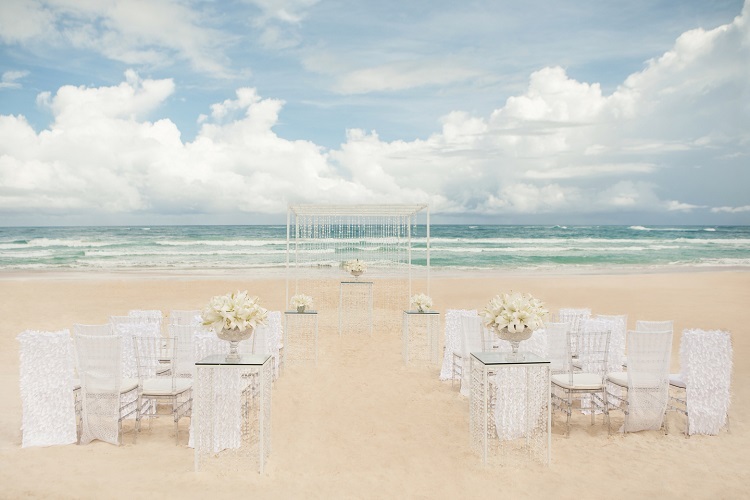 This deeply romantic wedding theme capitalizes on the beauty of Riviera Nayarit’s stunning blue waters. The package’s white crystal ceremony podium provides a stunning shimmer, as does the clear bowl centerpiece featuring submerged crystals. Your themed bridal bouquet will include beautiful cymbidium orchids. Sparkling wine and a themed two-tier wedding cake will follow the ceremony. Later, enjoy a romantic breakfast in bed — part of the resort’s complimentary honeymoon experience. 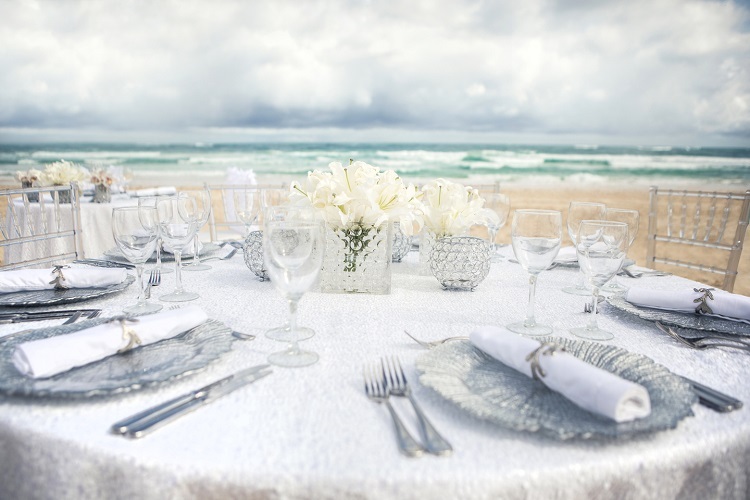 If you’re planning a destination wedding in Mexico, you shouldn’t settle for anything less than a rock star affair at a gorgeous resort. 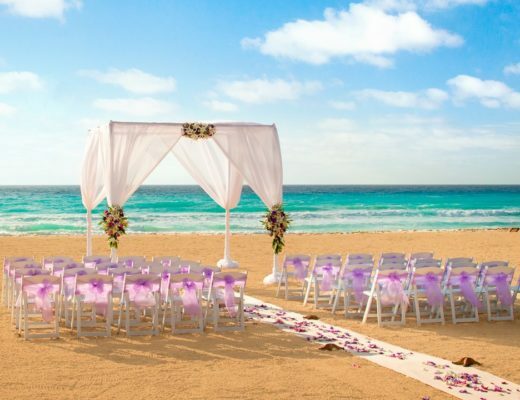 The right wedding package at Hard Rock Hotel Vallarta can deliver not only the ceremony and reception of your dreams, but also a romantic honeymoon experience. 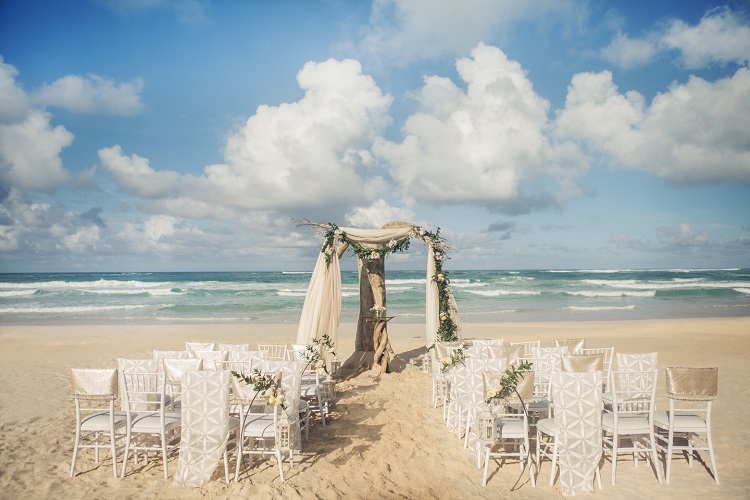 With such a range of exquisite destination wedding packages available, you’ll have no trouble crafting the exact experience you and your future bride or groom desire.